A left-for-dead retail giant, a dynamic and dominant steelmaker, and one of the best-known global brands. Dividends are wonderful things. You invest in a high-quality company, do nothing else, and get paid. Yes, dividend stocks are far riskier in the short-term than bonds, but they can also give you something bonds can't match: The opportunity for significant capital appreciation over the long term. Three that look particularly appealing today include Best Buy Co Inc (NYSE:BBY), Nucor Corporation (NYSE:NUE), and Starbucks Corporation (NASDAQ:SBUX). Not only do all three pay dividends yielding over 2%, but they also have solid long-term prospects that should lead to growing your capital investment in them in the years ahead. Keep reading to find out why three Motley Fool writers who are also real-world investors identified these companies as top dividend stocks today. Rich Duprey (Best Buy): Electronics superstore Best Buy has been on a roll. The company's most recent news was a surprise announcement last month that it was partnering with one-time nemesis Amazon.com (NASDAQ:AMZN) to sell new Fire TV Edition smart TVs exclusively at its stores and online. If a customer searched Amazon for the TV sets, they would be redirected back to the Best Buy store that's being created on the online platform. It's a major turn of events for a company that was nearly put out of business by the e-commerce leader. Although the partnership still carries risk, it shows how far Best Buy has come and how financially secure it is that it can now work with its former adversary. Thanks to improved service and competitive pricing, Best Buy has brought itself back from the brink. Revenue rose 7% last year to $42.1 billion on a near-6% rise in comparable store sales, and though CEO Hubert Joly expects comps growth to shrink back to about 2% in fiscal 2019, Best Buy is making additional investments in growth initiatives. Those will ping profits in the short term but should pay off with greater returns in the long run. Best Buy had $3.1 billion of cash and just $1.36 billion of debt at the end of fiscal 2018, meaning it has a strong balance sheet that will give it room to try new things and even make mistakes, as some are calling the Amazon partnership. But it has the wherewithal to do these things, as well as spend money on stock buybacks boosting its dividend, which now yields 2.3% after a 32% increase earlier this year. This is a respectable return for a business that looks flush with opportunity and intends to make the most of it. Neha Chamaria (Nucor): In a major boost to investor confidence, steel giant Nucor recently delivered its most profitable year since 2009, backed by 25% growth in revenue. While higher volume boosted Nucor's sales, a cost-efficient business model continues to be its forte and also one of the biggest reasons why Nucor is among the handful of commodity-centric companies that have sealed a spot in the prestigious Dividend Aristocrats list. Nucor's mini-mills operating structure, efforts to turn weak business conditions into opportunities for growth investments, and intent focus on balance sheet have turned patient investors millionaires over the decades, especially the ones that reinvested dividends all along. 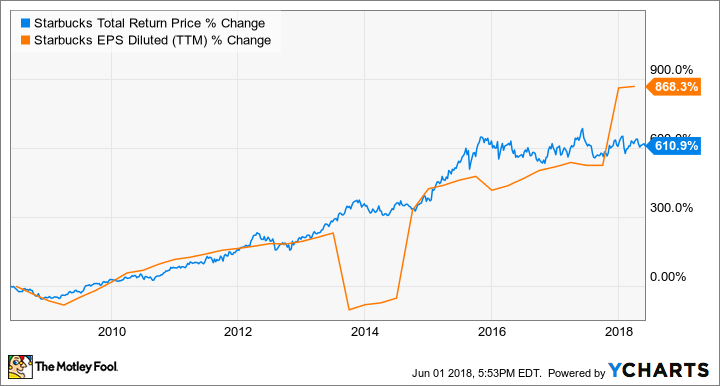 For the record, Nucor has increased its dividend every year for the last 45 consecutive years and strives to return at least 40% of its net profits to shareholders every year in the form of dividends and share repurchases. That makes Nucor one of the best dividend stocks in the steel industry, as well as among the top dividend growth stocks that have increased their dividends for 25 consecutive years or more. With Nucor's debt level currently at its lowest in several years and ample cash at its disposal, the company is focused on expanding its production capacity to meet anticipated rise in demand for steel as infrastructure spending in the U.S. gathers steam. Nucor has proven its mettle time and again, and there's little reason to believe the company won't continue to deliver on its shareholder commitment in coming years. For a dividend yield of 2.3% and the underlying potential dividend growth in the stock, income investors could safely bank on Nucor to be the silent winner in their dividend portfolio. SBUX Total Return Price data by YCharts. It also implemented a dividend in 2010 and has increased the payout every year since, which now yields about 2.1% at recent prices. And looking ahead, I expect Starbucks will be able to continue raising the payout every year -- and likely at double-digit rates -- for many years to come. To start, I expect the coffee giant should be able to continue delivering yearly double-digit cash flow and earnings-per-share growth well into the future. As much as the market has raised concerns -- and lowered Starbucks' price -- over the past year over fears its growth is slowing, the company continues to find ways to grow. This includes expanding in China, where it expects to double its store count over the next five years, as well as a recent partnership with Nestle for global distribution of its packaged products at retail. It also continues to leverage food and non-coffee beverages to grow sales in its stores, and is moving upscale with its Reserve and Roasteries too. Trading for less than 23 times 2018 earnings estimates, Starbucks represents a solid value for investors looking to capture solid long-term growth, both from their investment, and from the dividend it pays.